This report by the European Human Rights Commission into Disability Rights in Wales really is essential reading. The section on independent living is especially relevant to the #SaveWILG campaign. The UK Government’s Independent Living Fund (ILF) closed across the UK in June 2015. In order to continue support for individuals, a new grant scheme (the Welsh Independent Living Grant) was set up by the Welsh Government to run until March 2017. As a result of the funding support transferred from the UK Government, funding in Wales for this interim arrangement was restricted to supporting existing ILF recipients. In November 2016, the Welsh Government announced that by 31 March 2019 all former ILF recipients will have their care and support needs met through normal social care provision, having received an outcome and care and support assessment under the Social Services and Well-being (Wales) Act 2014. This arrangement will aim to ensure that all disabled people with higher care and support needs are supported equally. The decision to take forward this approach followed taking representation and advice from a stakeholder advisory group. However, various disability organisations in Wales had advocated setting up a national independent living scheme in Wales as aligning with a citizen directed system of support rather than the approach now adopted by the Welsh Government.  How it will ensure protection for article 19 rights of those formerly eligible for the Independent Living Fund after 31 March 2019? Below you can find my response to Mr David Rowlands – Chair of the Senedd Petitions Committee – in answer to the previous letter from the Minister for Children, Older People and Social Care, Huw Irranca-Davies. Thank you for giving me the opportunity to respond to the letter you received from the Minister for Children, Older People and Social Care regarding the planned closure of the Welsh Independent Living Grant (WILG). For this letter I have decided to list my responses to the Minister’s letter in an easy-to-read, bullet point format. This will allow the Committee time to access the key points against the weak arguments put forward by the Minister and the Welsh Government. Without further ado, I will begin listing the reasons for which we strongly disagree with the Minister for Children, Older People and Social Care. The Minister begins his letter by stating that the purpose of the changes to Social Care are to end the “two-tier arrangement” that currently exists in order to provide a level playing field to all disabled people. The Minister is referring to a two-tier system that the Welsh Government chose to perpetuate. Meanwhile, during the consultation process ahead of the introduction of WILG, there were a number of other options on the table. Option 4 proposed opening up the WILG for new applicants. This option was never fully investigated by the Welsh Government who seem averse to investing in people. The #SaveWILG campaign fully supports equality across the board and it is a bizarre argument that says essential support should be jeopardised to give equal treatment to all. What is actually happening is an EQUALISATION DOWNWARD, however subtle and however long it takes to materialise. We cannot just sit back and let this happen. It is not AND never has been an excuse not to do something because it is “difficult to unpick”. It would ONLY create “turmoil” if the Welsh Government handled it badly. It does not inspire confidence to witness such a lack of self-belief by our elected representatives. Of course, the obvious point is that there is mass turmoil NOW precisely BECAUSE of what the Welsh Government are doing. I’m afraid that those in power will have to put in the hours to make up for their initial mistakes against the warnings from disabled people and their families. In his letter, the Minister tries to blind the Committee with statistics. I prefer to concentrate on the human aspect and the number of emails that the #SaveWILG campaign receives regularly. These confidential messages are often found with tales of struggle, depression and desperation. On paper it is easy to ignore the negative effects of policies, but in the real world those that are directly affected deserve to be listened to. A large majority of struggling recipients do not have the ability to speak out against the Government in the way that I have done. Furthermore, many recipients are too afraid of the consequences of criticising Councils that have so much control over their lives. This was why arrangements under the ILF provided a safety net for disabled people: because assessments were carried out by independent Social Workers, who could not be manipulated by local authorities. We are told that the Minister has instructed local authorities to perform a “deep dive” into the WILG transition. How can we begin to trust the findings of local authorities when they are under such immense pressure to cut costs due to a lack of funding from Central Government? Disabled people must be protected in the face of these cuts and not be seen as an easy group to exploit. I fully believe that the Welsh Government have a responsibility to support disabled people and should work with them instead of pointing them towards cash-strapped local authorities, many of whom do not have an adequate complaints procedure in place. The Minister and his team have repeatedly told us this is not about money. However, when we say that the Government should open WILG to all disabled people, they repeatedly say they can’t afford it. So, it is about money, then? This situation has arisen because of the heartless closure of the ILF by the UK Government but the current mistakes confusion, mess and inconsistencies proves that the Welsh Government are heading in the wrong direction. Disabled people with high care and support needs are the ones paying the price for these errors. At no point do we see the Minister or the Welsh Government acknowledging that MOST WILG recipients are not able to contribute on a level playing field to any consultation. There seems to be a complete – I am sure unconscious – lack of understanding about this. People are not machines that fit neatly into box-ticking exercises. Informing us of the huge delays already, shows that the turmoil, and lack of a competent working system, already exists. Hence the need to make sure long-term that those who need this support most, do not have to worry about this kind of upheaval on a yearly basis. THE most important thing is the healthcare & support for recipients. Many do not have the luxury of time to be fighting this full-throttle. Let me be clear though, there are plenty of us fortunate enough not to be in their position who will never give up or shut up about this. QUESTION FOR COMMITTEE MEMBERS: When do we expect to get the full, published, unedited or un-amended report from the review? Thank you very much indeed for facilitating this process. I am grateful to you and everyone at the Petitions Committee for taking the time to listen and consider our strong arguments. The Welsh government has been criticised for a “ludicrous” and “insulting” failure to address the adult social care funding crisis in a new draft framework on independent living. Action on Disability, its new draft framework and action plan, was put out to consultation this week, and aims to “develop and improve access to help, advice and services for disabled people in Wales”. The plan will eventually replace the Welsh government’s 2013 framework for action on independent living and follows a series of meetings and engagement events with disabled people, disability organisations and other stakeholders. The report says that this public engagement process saw concerns raised about “cuts to social care provision” which had led to “lower allocations” of direct payments, leaving disabled people “increasingly isolated, and the impacts to their wellbeing compromised”. But despite these concerns, the action plan refers only to previous strategies on services for visually-impaired people, Deaf and autistic people and those with learning difficulties, and fails to include any measures to address the cuts to support and the social care funding crisis. This contrasts with its 2013 framework, which included lengthy sections on access to social care, direct payments and personalised support. Of 44 actions supposedly aimed at improving the right to independent living in the new action plan, not one of them explicitly addresses the need to improve the overall access to care and support, although it does promise a review of the aids and adaptations system that supports disabled and older people to live independently in their own homes. Instead, the action plan covers areas including disability employment, higher education – including a planned review of policy on disabled students’ allowance – public appointments, and access to public transport. There is also no mention of social care in the section describing the Welsh government’s “commitments” on independent living, even though it promises to “work for continuous improvement” on how it fulfils its obligations under the UN Convention on the Rights of Persons with Disabilities (UNCRPD). The failure of the action plan to suggest any measures to address the funding crisis and cuts to support suggests the Welsh government is in breach of the convention’s article 19, which says that governments signed up to UNCRPD should take “effective and appropriate measures” to enable disabled people to live in the community with “full inclusion and participation”. There is also no mention in the document of the Independent Living Fund (ILF), and the Welsh government’s decision to close its interim Welsh Independent Living Grant (WILG) scheme, which it has been running as a stopgap with UK government transition funding since ILF closed in June 2015. Because of the WILG closure, Welsh local authorities will be solely responsible for meeting the support needs of all former ILF-recipients by 31 March 2019. Nathan Lee Davies (pictured), who is leading the campaign to persuade the Welsh government to overturn its decision to scrap WILG, said the failure to address social care in the action plan was “ludicrous” and “insulting”. He said: “They seem like a load of ostriches burying their heads in the sand. It’s just really worrying. 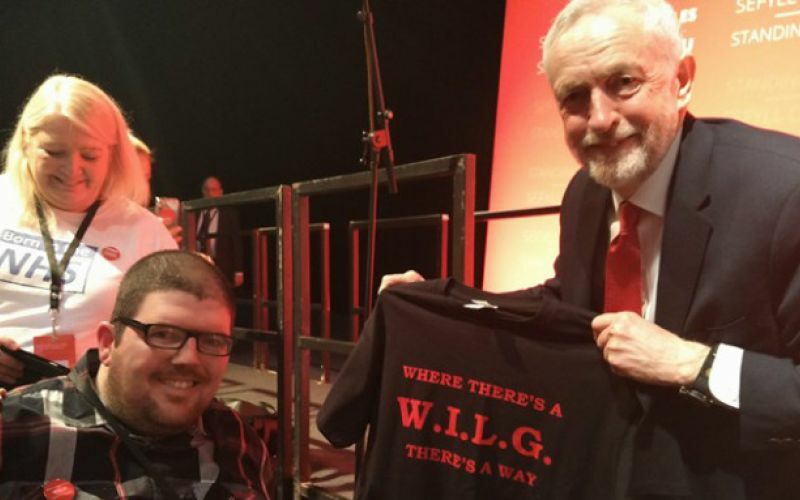 He suggested that the Welsh Labour government had simply published a “flimsy” framework document in order to “placate the UN, and to be able to say, ‘look, we are doing something to support disabled people’”. He said that ministers – by closing the WILG – were “washing their hands” of responsibility for social care and handing it to local councils, which could not afford to meet their responsibilities promised under the Social Services and Well-being (Wales) Act 2014, which Davies said should be renamed the Pie in the Sky Act. Responding to criticisms of the document, a Welsh government official said: “Our ‘Action on Disability: the Right to Independent Living’ framework is a high-level plan covering a wide range of issues in line with our national strategy, Prosperity for All. “A number of the actions in this draft action plan relate to social care; nevertheless we are open to suggestions on how the plan could be strengthened. 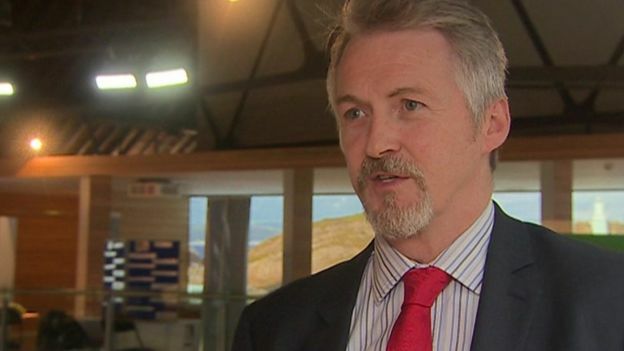 Davies has contrasted the actions of the Welsh Labour government with those of the UK Labour party, whose leader, Jeremy Corbyn, has publicly supported his campaign to save the WILG, as did members of Welsh Labour at their annual conference earlier this year. He said that this “tripartite” system had provided the support he needed that led to him being recognised with an honorary degree by Wrexham Glyndwr University for his services to disability rights. 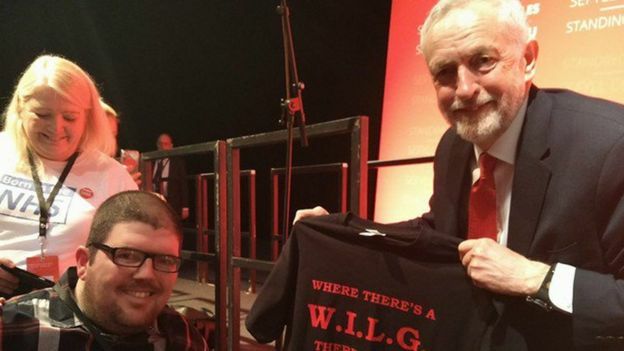 He has also been involved with Wrexham football club, Disabled People Against Cuts, and the Care and Social Services Inspectorate Wales, as well as writing a new book, and running his campaign and a blog. He also worked with Disability Arts Cymru on a #SaveWILG exhibition of visual art and poetry earlier this year. Davies is now waiting to hear what will happen to his support package when WILG closes.